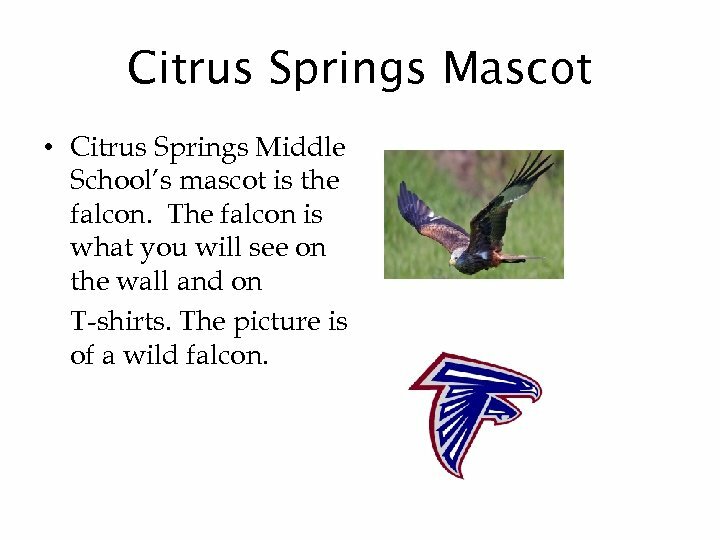 Citrus Springs Mascot • Citrus Springs Middle School’s mascot is the falcon. 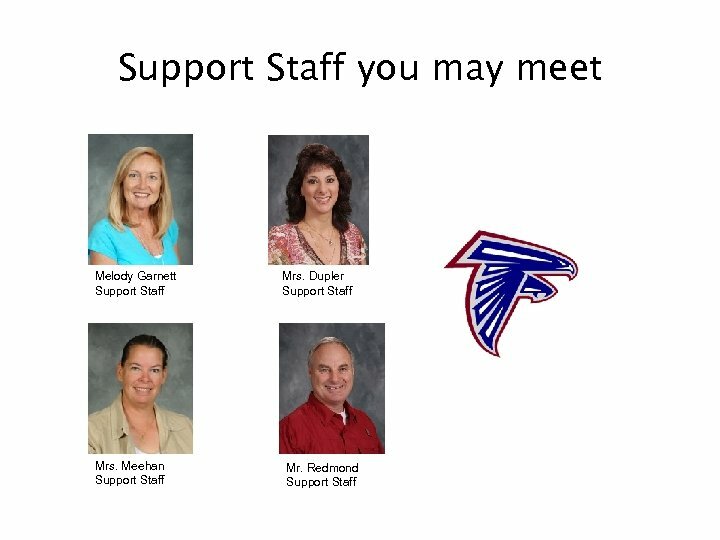 The falcon is what you will see on the wall and on T-shirts. 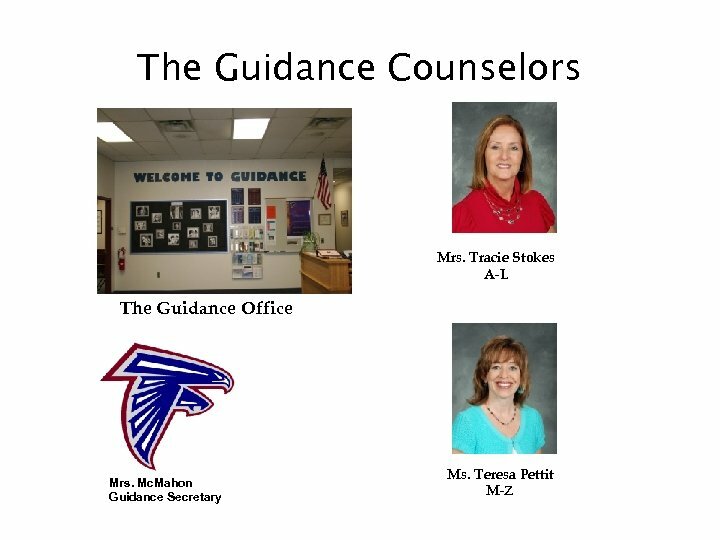 The picture is of a wild falcon. 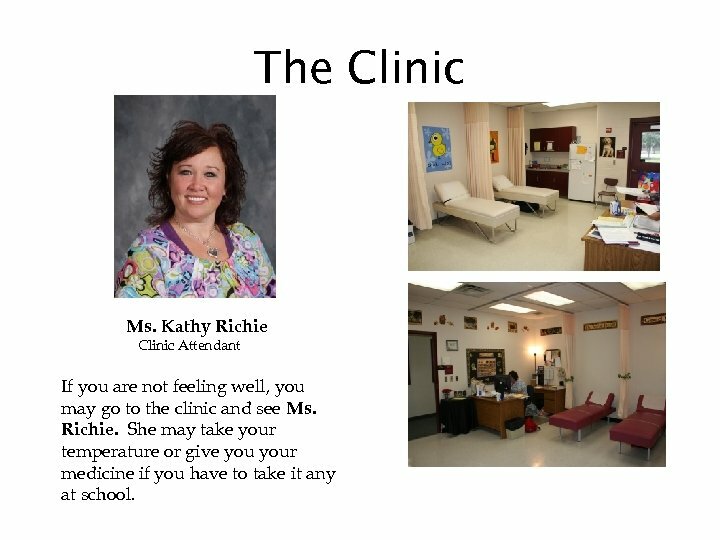 The Clinic Ms. Kathy Richie Clinic Attendant If you are not feeling well, you may go to the clinic and see Ms. Richie. 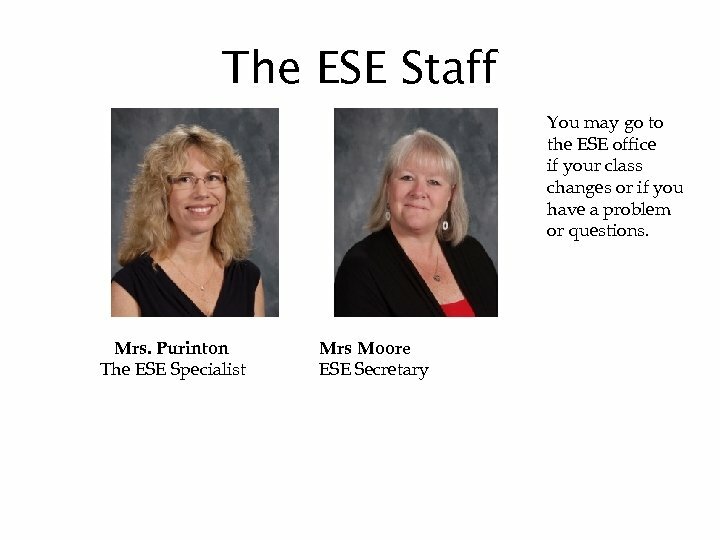 She may take your temperature or give your medicine if you have to take it any at school. 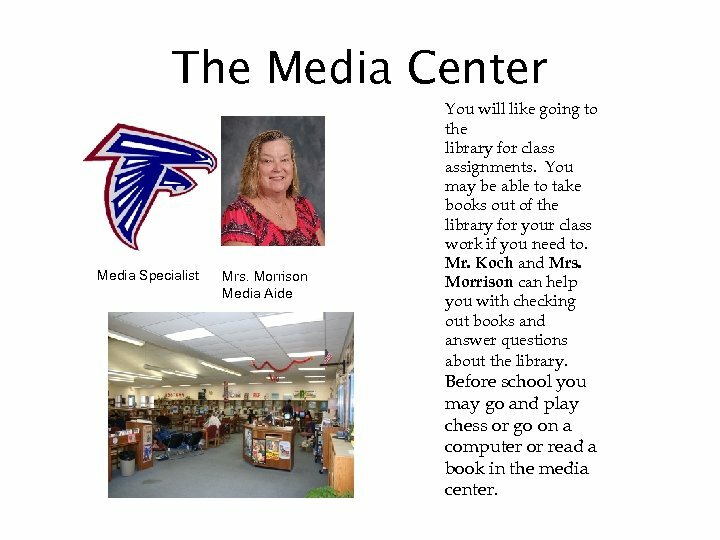 The Media Center Media Specialist Mrs. Morrison Media Aide You will like going to the library for class assignments. 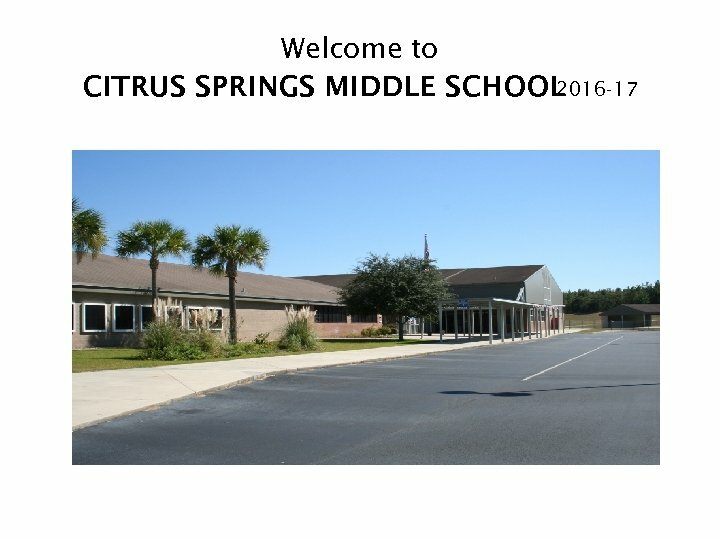 You may be able to take books out of the library for your class work if you need to. 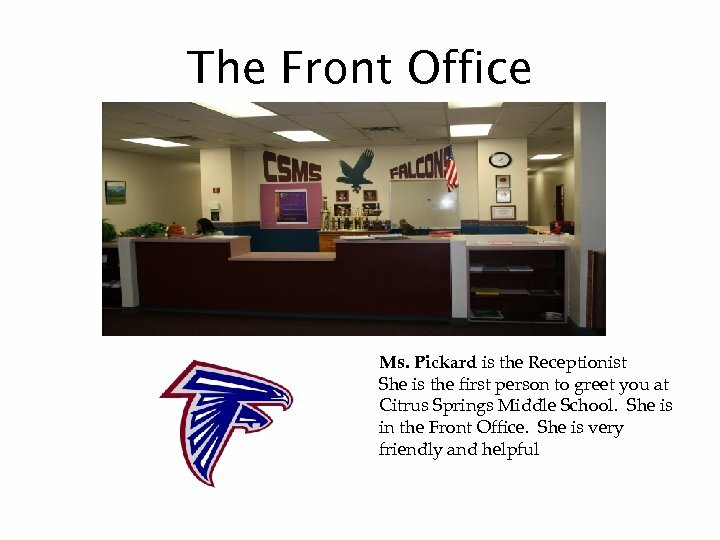 Mr. Koch and Mrs. Morrison can help you with checking out books and answer questions about the library. 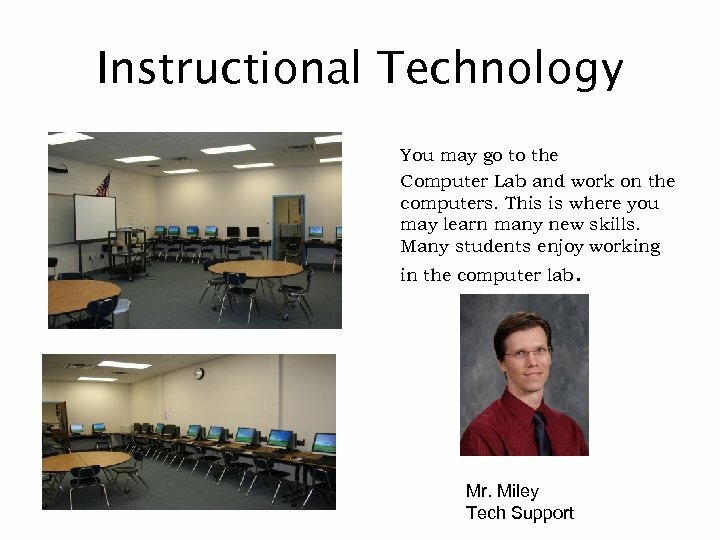 Before school you may go and play chess or go on a computer or read a book in the media center. LOCKERS You will probably have your own locker. The lockers have combination locks. Some students use a lock and a key. Do not share your combination or key with other students. 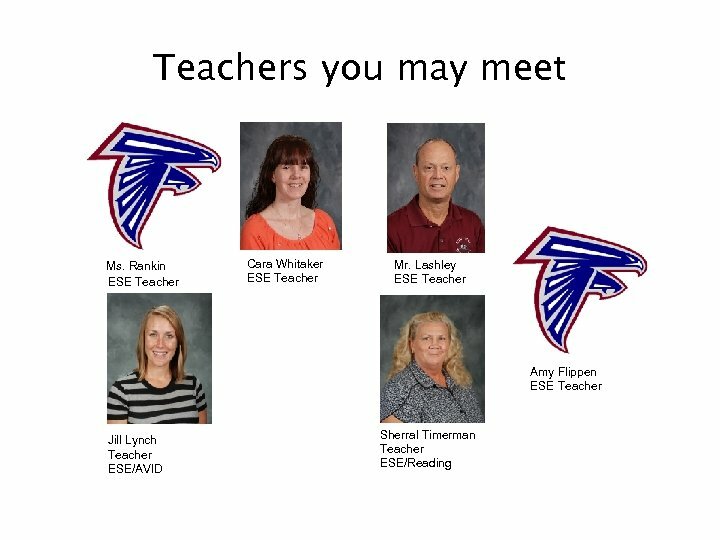 If you forget your combination, or you can’t find your key, you teacher will be able to help you. 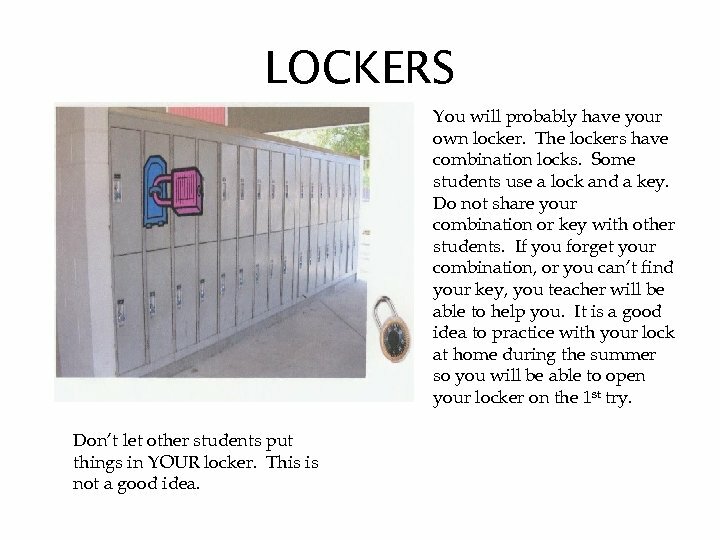 It is a good idea to practice with your lock at home during the summer so you will be able to open your locker on the 1 st try. Don’t let other students put things in YOUR locker. This is not a good idea. Student Restrooms/Bathrooms This is a student restroom. 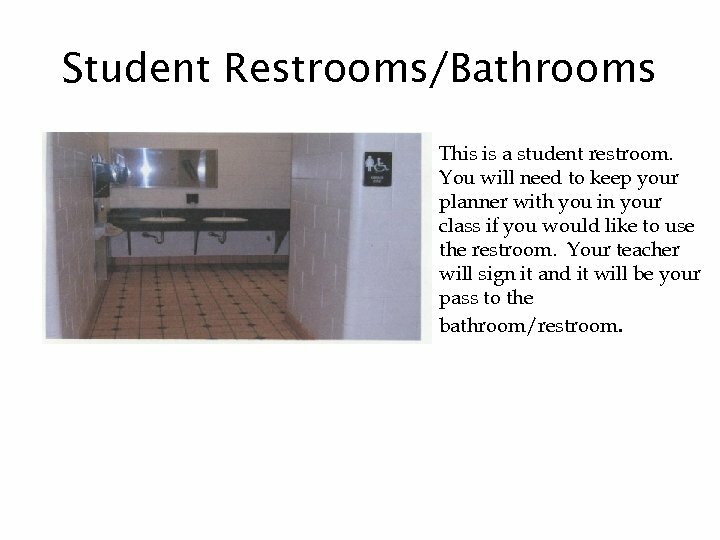 You will need to keep your planner with you in your class if you would like to use the restroom. 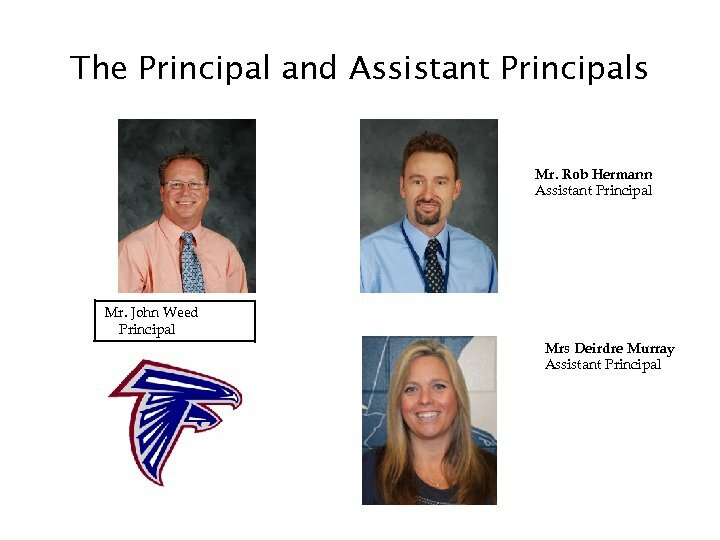 Your teacher will sign it and it will be your pass to the bathroom/restroom. 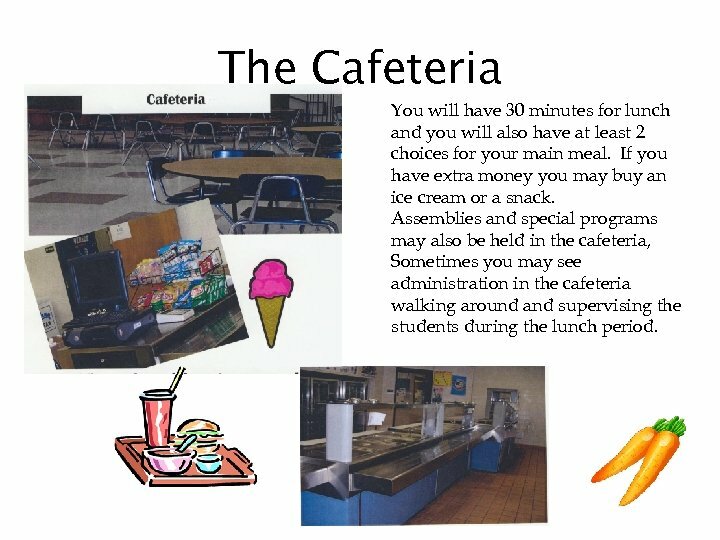 The Cafeteria You will have 30 minutes for lunch and you will also have at least 2 choices for your main meal. If you have extra money you may buy an ice cream or a snack. 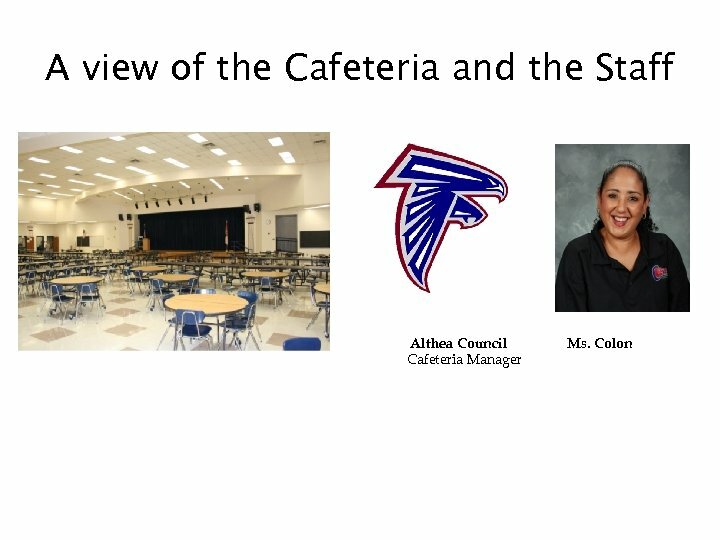 Assemblies and special programs may also be held in the cafeteria, Sometimes you may see administration in the cafeteria walking around and supervising the students during the lunch period. 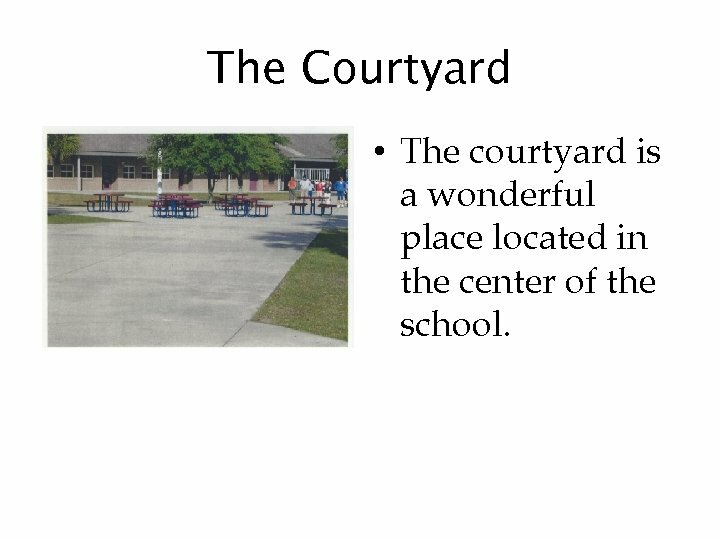 The Courtyard • The courtyard is a wonderful place located in the center of the school. 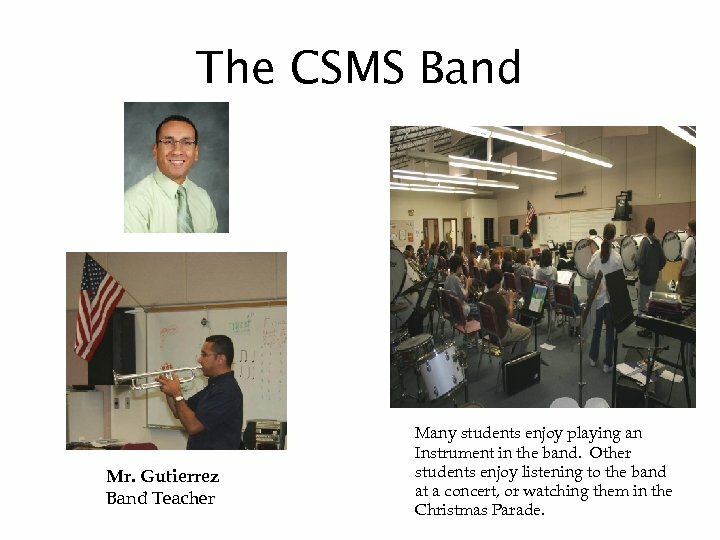 The CSMS Band Mr. Gutierrez Band Teacher Many students enjoy playing an Instrument in the band. Other students enjoy listening to the band at a concert, or watching them in the Christmas Parade. 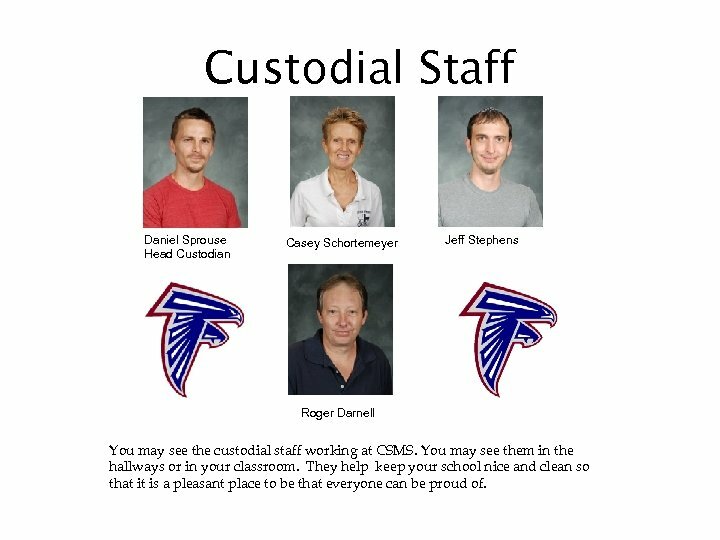 Custodial Staff Daniel Sprouse Head Custodian Casey Schortemeyer Jeff Stephens Roger Darnell You may see the custodial staff working at CSMS. 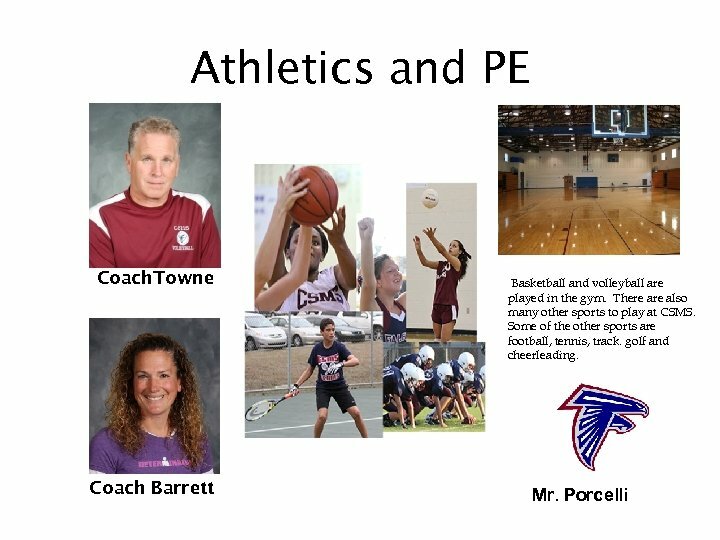 You may see them in the hallways or in your classroom. 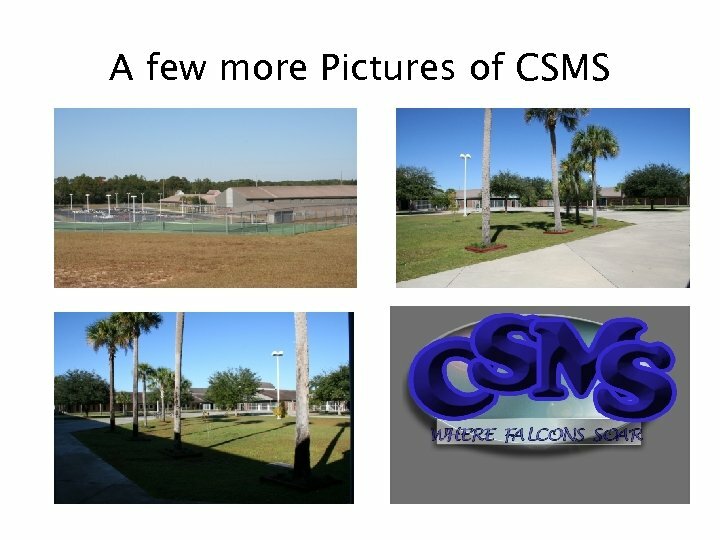 They help keep your school nice and clean so that it is a pleasant place to be that everyone can be proud of.